Why do we work? The question seems so simple. But Professor Barry Schwartz proves that the answer is surprising, complex and urgent. We've long been taught that the reason we work is primarily for a paycheck. In fact, we've shaped much of the infrastructure of our society to accommodate this belief. Then why are so many people dissatisfied with their work, despite healthy compensation? And why do so many people find immense fulfillment and satisfaction through "menial" jobs? Schwartz reveals exactly how the false idea that the goal for work should be pay came to be, how we came to believe that paying workers more leads to better work, and why this has made our society confused, unhappy and has established a dangerously misguided system. 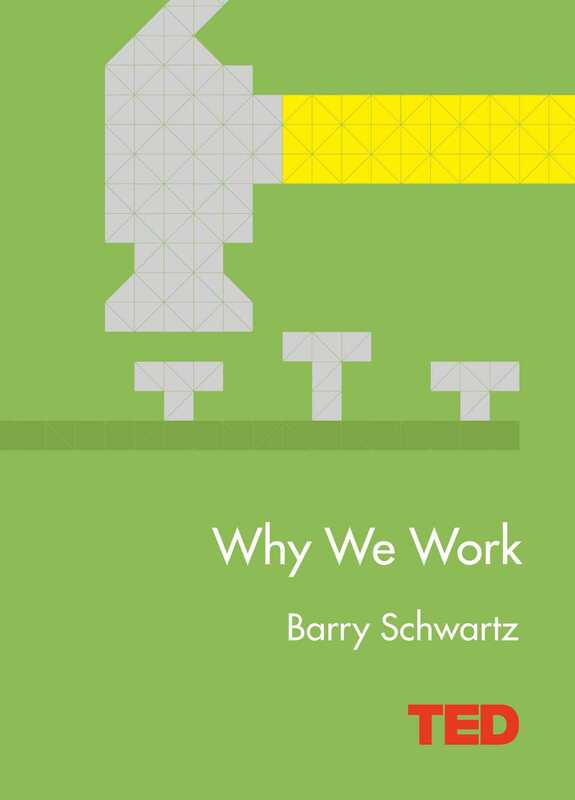 Ultimately, Schwartz proves that the root of what drives us to good work can rarely be incentivized, and that the cause of bad work is often an attempt to do just that. With great insight and wisdom, Schwartz illuminates the path for readers to take their first steps toward understanding, empowering us all to find great work. Schwartz is also the author of The Paradox of Choice: Why More Is Less, which has been translated into twenty languages. He can be seen discussing his ideas in his TEDTalks The Paradox of Choiceand Using Our Practical Wisdom.